Day 2 of Reader Appreciation Week has begun! We just handed out two limited edition DL hoodies and are just hours away from giving out an Asus Transformer. So what can we do from now until then? 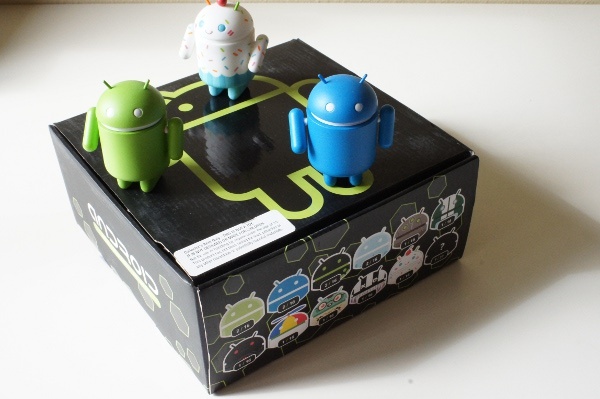 How about hand out more ridiculously hard to find Android swag? If you thought the Transformer was tough to get a hold of, try asking around to see if anyone owns a case of Series 2 Android Mini Collectibles. It’s a pretty exclusive club and we want to make you a part of it. What we have pictured above is an unopened, fully-intact and unharmed case. Those free-floating collectibles on top are simply from our personal collection and are there just for show. The box we’re giving you hasn’t been touched and should include 1 of every Series 2 collectible including a mystery bot. 2. We’ll pick the winner tonight at 5PM Pacific.